It is unlikely that visitors to Shetland will arive without an agenda but, if you find yourselves with a little free time, we would like to offer some suggestions. This list is by no means complete and, if you have any activities you would like to add, we would be delighted to hear from you. Above all, it is almost impossible to visit any place on the Islands without generating litter. Visitors are requested to treat our countryside with respect and, wherever possible, take any litter away with them. The Shetland Tourist Office should be the first "port of call" for all visitors and, as you would expect, they always have an up to date 'What's On' list. In addition, they have a very complete list of places to visit and Sightseeing Tours. Their offices are located right in the centre of Lerwick and are, literally, just minutes from both the Queens and Grand hotels. The first thing that most visitors will want to do is "take a look around" and, with this in mind, we have borrowed(?) a quick guide which we have published here. The walk is around the circumference of Lerwick and, at just a little over 4 miles, is well within most people's capabilities. It also connects with the Lerwick Town Service Bus Route at a few points so, for those slightly less able, there is a shortcut to some of the places. First off, let's get rid of the shameless plug for our own restaurants at the Queens and Grand hotels. If you want to enjoy Shetland quisine at it's finest then, our experienced and skilfull chef's will see to it that you need look no further. Having said that, other hotels also offer similar services but, are not so well located in the centre of Lerwick and may not be quite so convenient to visit. For a small town, Lerwick is very well served by a number of different places to get a snack, a full meal or just a cup of coffee. You could start with one of the local cafe's (most of which will offer 'home bakes' as well as the basics). Then there are chip shop takeaways (some of which have "sit-in" facilities) which offer the opportunity to sample the freshest local seafood there is. Next, we have a really good Steak House that is well worth a visit. After that, we have a number of "ethnic" venues including Indian, Chinese and Thai restaurants (which also offer a takeaway service) and that's just Lerwick. Other areas, most notably Scalloway and Brae have similar establishments although, if you travel to Brae, we would recommend a vist to the multi award winning Frankie's. Voted as being among the best chip shops in Britain where you can either eat in (you are advised to book in advance) or take your meal away with you. The fact that a lot of locals travel to Brae just to visit Frankie's (100 mile round trip for some) should tell you all that you need to know. Scalloway also has a very fine Chinese takeaway located just across the road from the Castle and Museum whilst, in the centre of Scalloway, Scalloway Hotel's highly rated multi award winning restaurant is also very popular. Around the other side of the bay is the excellent restaurant at the North Atlantic Fisheries College. All three would be well worth visiting. Shetland has a number of museums that might be of interest to visitors. Top of the list is the largest, Shetland Museum and Archives, which is located on the waterfront just a short 15 minute stroll from the centre of Lerwick. Apart from a wealth of local artefacts, The museum also houses a cafe/restaurant. Next up in terms of size is Scalloway Museum. The museum aims to tell the story of Scalloway and it's people with particular emphasis being placed on the Shetland Bus operation of WWII. We also have a Textile Museum at the Bod of Gremista on the outskirts of Lerwick that is dedicated to the traditions of Shetland's knitting heritage, but Lerwick apart, Shetland has an island wide network of smaller museums and visitor centres. Most of these are run by volunteers and are free to enter although any donations will be much appreciated. The Visitor Centre at Hoswick (Sandwick) has some very interesting exhibits and is well worth a visit. Whatever you choices, The Shetland Heritage Association website has a lot of links to some very interesting places. It may not be immediately apparent but, for those interested in such things, Shetland has a rich and diverse architectural heritage and we would suggest a visit to the Shetland Amenity Trust pages as they maintain a number of these properties and their website is a really good place to start. There are several experienced local tour operators offering visitors access to parts of Shetland and it's history that would not normally be apparent if you were unaccompanied. You could try a boat trip to the seabird colonies at the Hermaness or Noss National Nature Reserves, to the Iron Age Broch on the isle of Mousa or a land based guided tour to some of the many sites of architectural, archeological, geological or historical interest. The earliest evidence of settlement in Shetland dates to about 3000BC (the Neolithiè). Neolithic farmers grew barley and the stone tips of their ploughs can often be found lying on the ground. There are also Bronze Age, Iron Age, Pictish and, of course, Viking remains to be seen. To say that Shetland has the best archaeology visible anywhere in Britain is no exaggeration. The prehistoric site at Jarlshof stands over 2 metres high and is right next to the impressively well preserved Old Scatsness site, the Iron Age Broch at Mousa 13 metres and, very close to the centre of Lerwick, there is Clickimin Broch. We also have a fort and a couple of castle's that may be of interest. Fort Charlotte is right in the centre of Lerwick and is easily accesible to all, Scalloway castle is, as the name suggests, located in Shetland's old capital, Scalloway. It is just a few miles from Lerwick and is just a short (and cheap) bus ride away. As a bonus, it is right next to the Shetland Bus Museum which celebrates the brave and heroic efforts of many Norwegians who escaped (and later harassed) the forces of Nazi Germany. For the more adventurous who don't mind a bit of travelling, Muness castle on the island of Unst is also well worth a visit. Another place to visit is the chapel on St Ninian's Isle. Located just to the west of Bigton on the south mainland, it is easily accessible although you will have to cross the largest sand tombolo in the UK to reach it. The site itself is well posted but, as it is on agricultural land, tends to be a little overgrown. On the plus side, you can combine a day at one of Shetland's best beaches with your visit and, maybe even take a walk around the isle. Offering some of the best walking in Europe, Shetland has a combination of spectacular coastal cliff scenery on both the Atlantic and North Sea sides of the island. Further inland we have an abundance of quiet lochs and heathery hills and along the way you will be able to observe a wonderfull array of flowers, birds and mammals. Like most outdoor activities on Shetland. You should pack some warm, waterproof clothing. www.shetland.org has some excellent information on different walks. Shetland has long been known for it's spectacular seabird colonies but, we have other birds as well. It would take several pages to describe all the species available and, fortunately, someone has already done that. Take a look at the www.shetland.org website or the shetlandnature website for a much fuller picture. The Shetland is the smallest of the British native breeds with a maximum height of 42" and is seen as small as 28" or so. It is hardy and resilient being very strong for its size. 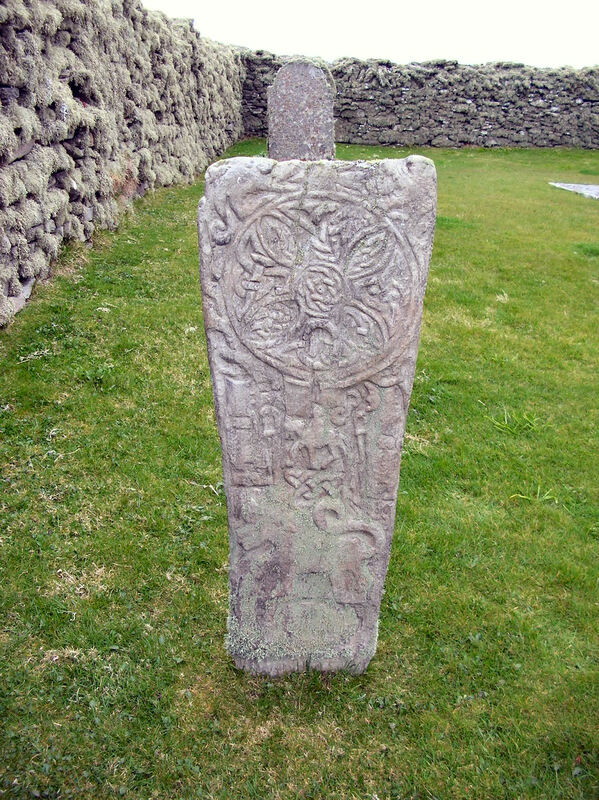 No early records of the Shetland Pony exist but the Bressay Stone, a relic of Pictish Times bears the sculpture of a horse with a rider, which historians regard as significant evidence that ponies roamed the hills and moors of Shetland long before the Norse invasion of the 8th-9th centuries. The Shetland Pony Stud Book Society was formed in 1890 to maintain, unimpaired, the purity of Shetland Ponies and to promote the breeding of these ponies. It was started by several far-sighted people, due to the demand for male ponies for the coal mines in the 1850's the number of good stallions being retained in the islands was reduced. The Shetland Pony can be seen in all colours (except spotted) - black, chestnut, grey, bay, dun, blue roan, piebald or skewbaid. Up until recently the heavy black Shetland Pony probably dominated the show classes outwith the Shetland Islands, due to the fact that many of the ponies on the British Mainland may have derived from the heavy black pony exported for coal mines. The loch fishing on Shetland comprises both Brown Trout and Sea Trout with the likelihood of the occasional Grilse. We have countless fresh-water lochs that can be fished. Brown trout can be expected from '1/2 lb upwards whilst sea trout and grilse from 2 lb and upwards If trout fishing is your thing then, The Shetland Anglers Association website is a good place to start. They have a wealth of local knowledge and know all the best places. Anglers should be aware that the lochs, beaches and, every other area where they might fish are also used by animals, people and nesting wild birds. Great care should be taken not to disturb any nesting birds or leave discarded lines, tackle and litter where it might cause harm or injury. Please dispose of it responsibly or, better still, take it away with you. The sporting qualities of the wild Shetland brown trout are widely commented upon by the top angling writers. Shetland may not have the biggest brown trout in the world but for the size of the islands, it certainly has the most. The most popular method of fishing is with the fly and some lochs (owned by the RSPB) are desgnated as "fly only". Another widely used method is spinning and, as with fly, may be undertaken from the banks or from a small boat. If required, Shetland Anglers Association has a number of small boats that are available for hire around the islands. Visitors should note that there are no rivers in Shetland, just streams that (mainly) drain lochs and, although we do not have the quantity that we used to, Sea Trout are caught by fishing from the beaches and voe's all around the islands either by casting a wet fly or spinning into the open sea. This attractive fish provides one of the unique features of Shetland angling. The deep loch of Girlsta, 10 miles to the north of Lerwick, contains large stocks of brown trout, ferox and Shetland's only population of Arctic Char. Arctic Char are seldom caught on rod and line and, at one point, they were thought to be extinct on Shetland but, in 2004, Shetland Islands Council conducted a survey that found this fish to be present in Girlsta loch in "good numbers". If you are lucky enough to catch one, please do the decent thing. Weigh it, photograph it and, put it back in the water. Quite a few of Shetland's lochs contain Ferox populations. Most notably, Benston and Girlsta. They are not easy to catch and you are unlikely to take them on a fly as they are, basically, large and predatory trout so, a different approch is needed. Best advice is to contact Shetland Anglers Association who will advise you of the most productive method to use locally. We do not seem to have the wild Salmon population that we once had as, like Sea Trout, they seem to have been affected by the large numbers of Sea Lice and other factors associated with industrial Salmon Farming. Although, the occaisonal catch is possible, Anglers should note that since 2016, any wild salmon caught in Shetland must be returned to the water regardless of it's condition. The only exception to this would be if you catch a Salmon that has very obviously been farmed but escaped. Sea Angling trips are available locally but, tend to be seasonal and are weather dependant. Having said that, a number of local boats will skipper you to some of the best spots available. You will need sturdy equipment and warm clothing. A list of available boats can be had from Shetland Tourist Office. If you can't get a boat to take you out, why not try a little beach casting (there is a small beach right next to the Queens Hotel to get you started) or even fishing from one of the piers? You might be surprised at what you can catch. For the days when it is to windy or wet (or both) to go hillwalking, fishing etc. Shetland has 8 leisure centres and swimming pools, all run by Shetland Recreational Trust, that are guaranteed to keep everyone amused for a few hours. The largest of these is located at Clickimin in Lerwick whilst others are strategically located around the islands. If you get tired of activities that require some physical exertion, we have a pretty new, well appointed cinema and music venue where you can while away a few hours watching the latest movies or other events in relative comfort. Located right next to Shetland Museum and archives, and just a short walk from the centre of Lerwick, it is easy to find. Fancy a quiet stroll along a beach? Shetland has almost 1700 miles of coastline and, not surprisingly, quite a few beaches (we counted more than 40 but, who knows). Some are boulder strewn storm beaches whilst others are of white or golden sand. Whatever your choice, they all offer plenty of interesting exploration. The most popular beaches are quite easily reached but, as most tend to be at the end of single track roads, car owners are advised to use some consideration when parking and everyone is encouraged to take their litter home with them. A short list of some of our beaches is available on the www.shetland.org website.